SPRING IS THE BUSIEST TIME FOR ROOFING REPAIRS AND REPLACMENTS – MAKE SURE YOU SCHEDULE YOUR ROOFING NEEDS EARLY! When spring time arrives, it is time to get ready for the storm season to come and having your roof checked for wear and tear is one of the best preventive factors you can supply for your home. During the stormy months of spring, high winds and rain can take the roof right off your lovely house if it has any issues or loose shingles. 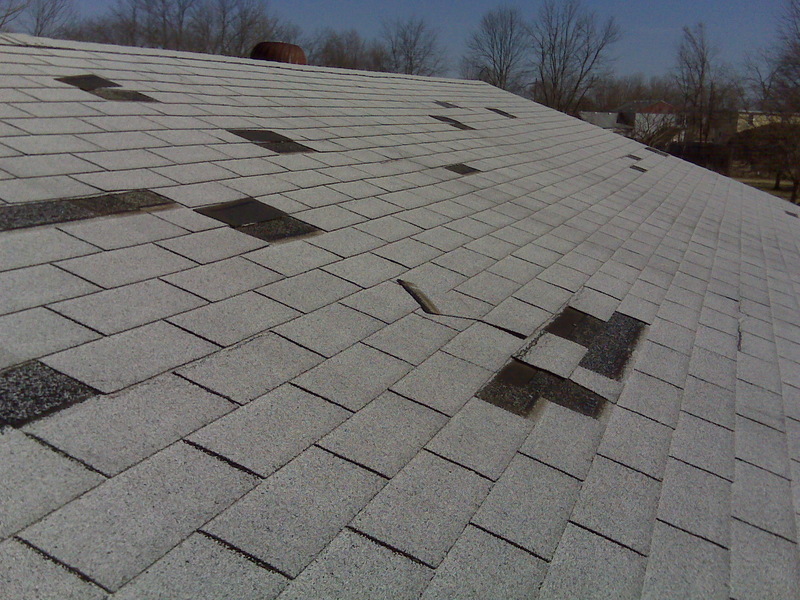 One loose shingle may not seem like a big deal, but that one loose area could result in hundreds if not thousands of dollars worth of damage from just one storm. Not to mention leaks. Once a shingle is missing, the shingle paper underneath will hold water and moisture and allow it to soak into the roofing rafters causing leaks and mold. Once you have water damage to your roof and ceiling, the problems can quickly multiply and repairs can double in not triple in costs. Shelton Roofing can have one of their dedicated associates schedule an appointment with you to assess any damage that needs repair and provide an honest estimate. Their estimates will include costs of materials at competitive prices and the best time to have the repairs done. Many older homes and businesses may have roofing shingles with asbestos in them. If you notice that your roof has a couple of layers of shingles and has been reroofed a few times, then it is most likely that the bottom layers of shingles contain asbestos. When it rains, some of that will wash down the gutters into the ground around your house. If you like to plant flowers or small vegetable plots in your flower beds, you could be consuming contaminated foods. A contractor from Shelton Roofing can assess if your shingles may contain asbestos and arrange for safe removal of the old roof before applying the new one. The removal of asphalt shingles has also become a large part of the recycling trends across the country and many recycled shingles are used to pave new roads and highways. You can ask the Team at Shelton which facility they use to entrust that your old roof will be disposed of properly. If the contractors in your area are not aware of which facility they use you may suggest one, which you can easily find the ones that service your area on the interenet. Servicing Palo Alto, Menlo Park and the Sunnyvale area as of California, Shelton has got you covered. They are extremely dedicated to providing the highest quality roofs with uniquely fast and courteous service. If you have any questions you should give them a call today and ask to speak to one of their helpful sales representatives.